Hohenwerfen Castle is also known as Erlebnisburg (literally: “Castle of Experience.”) It is an amazing castle near the ice caves. 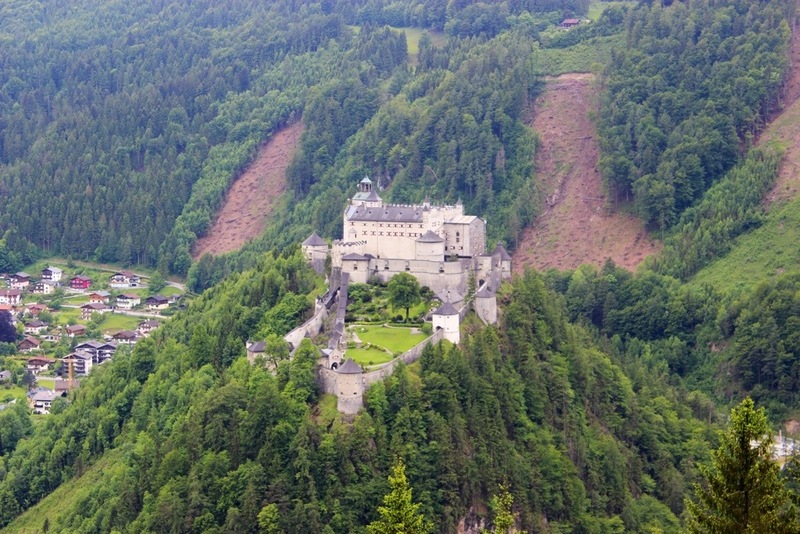 It is located high above the Austrian town of Werfen in the Salzach valley. We had to drive about 30 minutes from Salzburg to get there. 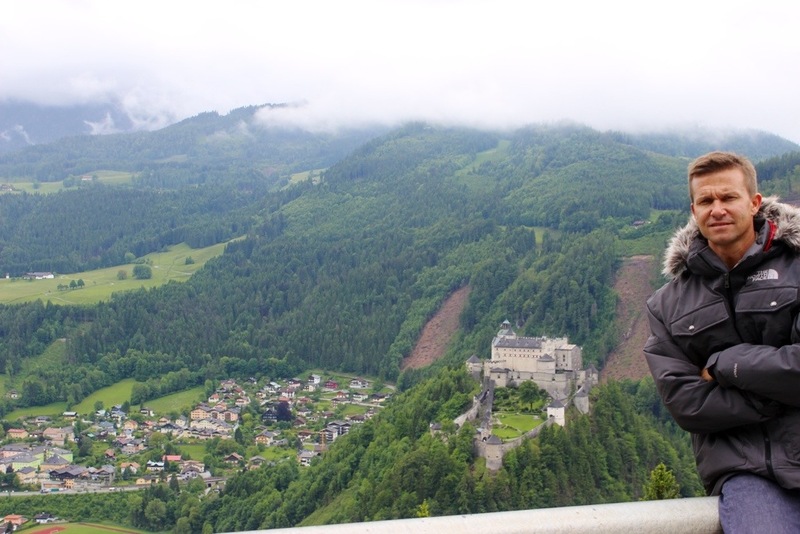 The castle is surrounded by the Berchtesgaden Alps and the Tennengebirge mountain range. 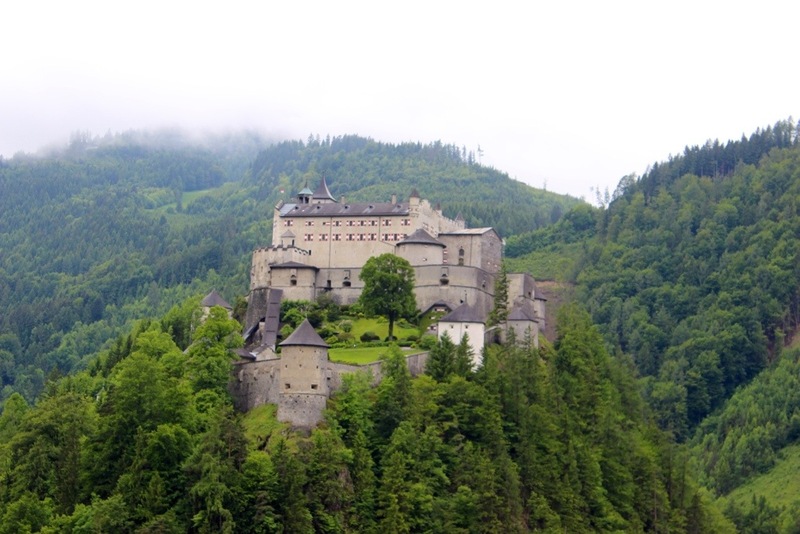 The fortification is a “sister” of Hohensalzburg Castle both dating from the 11th century.